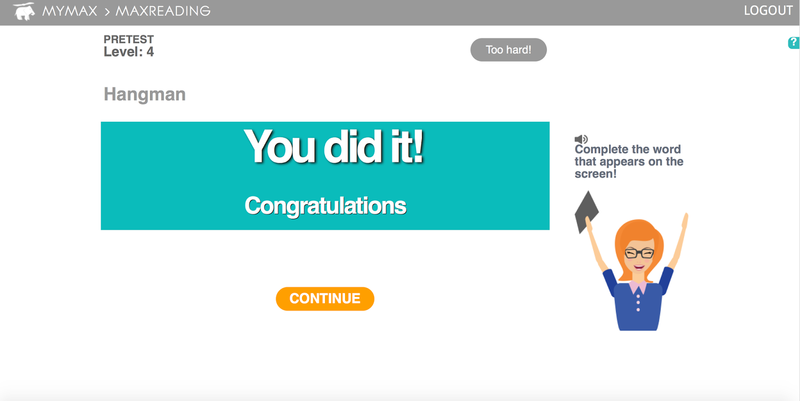 MaxScholar offers a variety of activities for students to improve reading skills with their MaxScholar Reading Intervention Programs and could be an invaluable resource all year, but especially with the summer months off school coming up! I wouldn’t really say that any of my children needed reading intervention, but Max Scholar offers several different components to their program which allow children to practice many different aspects of reading. The program is constantly evolving, and I have received several emails letting me know that different parts of the program have changed as we’ve been using it, which is nice because the company is obviously very responsive to feedback. There are two main components to the program, MaxPhonics and MaxReading. With older children, we didn’t really spend any time looking at MaxPhonics, but MaxReading is a fantastic program for reinforcing reading comprehension. In MaxReading there are several levels. Your child will start with a pretest to determine what level they should start reading at based on their current level of comprehension. There’s a teacher avatar that talks your child through this process. At any time, they can decide that a passage is “too hard” and move down a level until they find a passage they are comfortable with. Then they are able to move into chapters and activities. One complaint from my kids about this area is that it takes several seconds to load new questions after you’ve answered correctly, and my older son wanted to move faster. The pace was spot-on for my daughter, though. As you move through various chapters, the program walks you through levels of comprehension. 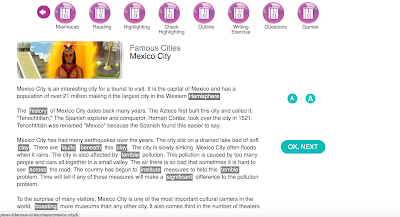 First the vocabulary words are highlighted and you are able to get a definition for any of the words that you need. 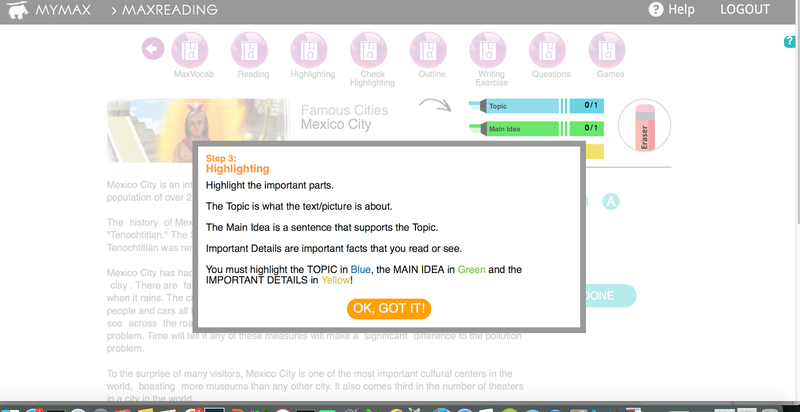 Next, you are prompted to read the text carefully, and then to highlight different parts of the text in different colors of highlighter. You then do an outline and a writing exercise, choosing from a summary, an open-ended question or a general question. Finally, you answer questions to confirm your understanding of the passage, and then you get a chapter score based on your highlighting score and your comprehension questions. I am not a huge fan of the way the highlighting is done, because they essentially have you highlight any word that isn’t a conjunction or an article, so the entire passage is highlighted, whereas I have taught my kids to be a little more selective, but if you go through this entire process, the children have definitely fully examined the text. The games are the same options as MaxVocab- hangman, word search, or definitions. These are a little easier to play through MaxReading, though, as the vocabulary used is pulled from the text you just read, and not just random. This process can seem a little drawn out- it’s a lot of the same passage over and over, but it definitely reinforces comprehension! There are several additional sections, as well. MaxWords helps you with spelling by offering several exercises that teach CLOVER syllables, which I had not previously been exposed to (Closed syllable, consonant LE, Open syllable, double Vowel, vowel-consonant-E, and R-controlled syllables), spelling words, prefixes and suffixes, Latin roots and Greek roots. My daughter (8) found the spoken explanations a little hard to follow, but my 10 year old son followed them well. Spelling is a constant battle in our house, so I enjoyed this section. MaxMusic didn’t really seem like music to us, but since this is a reading program, that makes sense. There’s a matching sounds game, where you match spoken vowel or consonant sounds, and you can select from some popular song lyrics and then identify the verbs or fill in the part of speech blanks, and you can also follow the computer to play a short portion of the song on a keyboard. I like the mad-libs style fill in the blank the best. 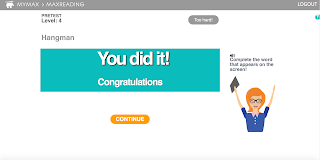 MaxVocab has both a dictionary for the entire program and games to help you learn new words. My kids were especially fond of hangman with Blob Bob. 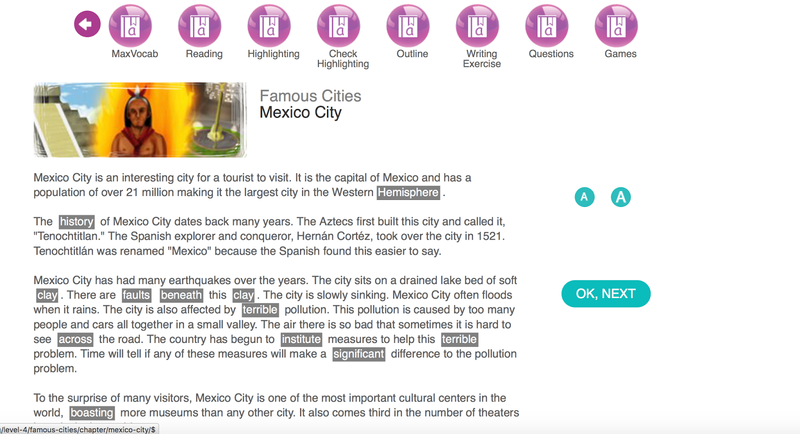 MaxPlaces allows you to do nonfiction reading about various cities. It is limited to North and South America right now, but again, is growing. 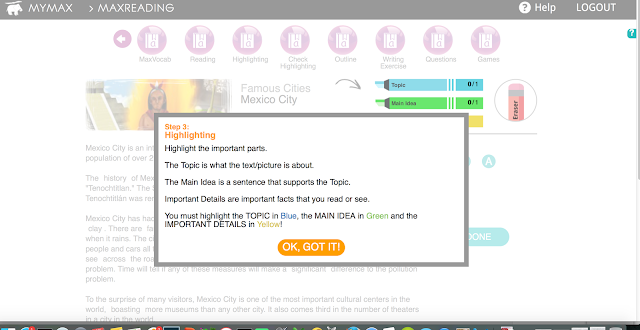 Just like in the MaxReading, you are able to use highlighters as you read to help you answer questions at the end. It is my understanding that SOL and Common Core standards place a lot of emphasis on nonfiction comprehension, so this is a valuable section! MaxBios works the same way, but with biographies.